Back in the day, guests checked in to the Wigwam Resort and received a horse with their room key. Today horseback riding may be arranged locally but the key is all you need to unlock a fun filled vacation that includes 54 holes of classic resort golf. The three courses are unique in the Arizona desert valley for their parkland style with trees delivering shade. 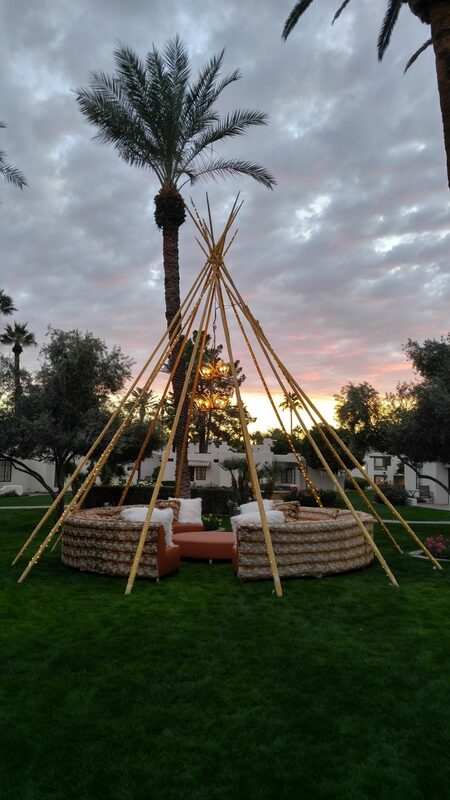 An actual wigwam serves as the nucleus of the practice facility where balls are provided on the range. windowpanes was preserved. This is a fine dining experience for dinner and a flaming show as the chefs sear steaks to perfection in the open kitchen. Around the corner the Wigwam Bar serves happy hour in a courtyard next to the gift shop and Lodge Pool where patrons may order from the Tower Pool Bar while lounging in the sun between water slide rides. Red’s Bar and Grill rounds out the food options at the resort behind the practice green. Named after the first golf pro Red Allen, Jesse is still happily hosting after 46 years with a namesake juicy burger on the menu and plaque in the drive, “Jesse’s Circle.” In all the venues the cuisine is creatively varied, very tasty and consistently satisfying to draw local crowds as well as the guests. When Arizona Foothills magazine published its annual Best of the Valley issue, the Wigwam Resort hit the jackpot of awards. 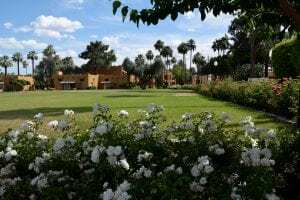 It was voted “Best Resort, Most Relaxing Resort Pool and luxe accommodations.” The 331 comfy casitas and suites are a sweet way to retreat in this legendary landmark. Beds are plush with an array of pillows for the Goldilocks’ just right choice suited to your neck. Coffee is furnished in the wet bar area along with a mini frig and microwave perfect for turning the large restaurant portions you hate to leave behind into a picnic on the patio. Casita patios along the fairway provide perpetual entertainment via the golfers in the practice area and along the first hole of the Patriot course, formerly called the Blue Course, All three courses have withstood the test of time. Extensive renovation and conditioning of the Gold Course, which opened in 1965, designed by famed architect, Robert Trent Jones Sr. raised it to a level that won the most challenging award. It is really pretty open except that the canal system runs through it. Fish swim in the clear water dodging errant shots. A few lakes come in to play as well as trees. Ok, maybe it’s not just a walk in the park. It is however a perfect course for The Golf Bike as is the Patriot course and the Heritage Course across the road. Golf director Leo plans on obtaining a few golf bikes in the future to make golf even more fun. Tennis players will be equally impressed with their courts and pro shop. 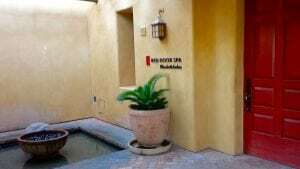 Spa goers will not want to miss the Elizabeth Arden Red Door Spa, voted Best Resort Spa. The Red Door leads to luxurious amenities and treatments that could be enjoyed for a whole day.